This Coffin Curb 2nd second edition has been designed to be more stable. 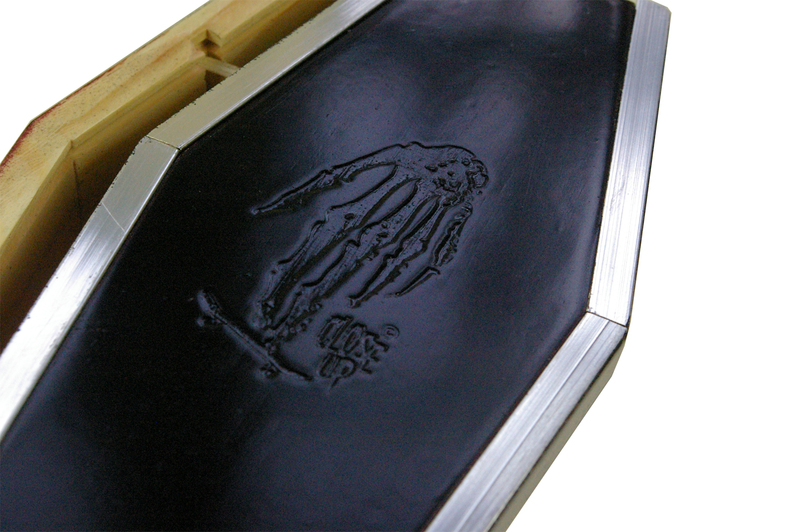 Its base and new sliding top include 3 magnets to get a perfect closing.You can slide and grind it, as well as rank your pencils and fingerboards…This one is painted in Black but still get a discreet Skull Hand logo in relief. It’s sold and delivered in a red carton box. They are only 200 units Black Edition in the World Ban ; ) Thanks for asking. So how much is the shipping costing about to Peru if I order this things ? 4 € for the shipping to Peru, for any order online and about 8 to 10 days max to be delivered. Gracias por paciencia. Yes thanks good idea, but it is hard to keep the logo white by spraying in Black. They also look more discreet in whole Black! thanks for suggestion and support. Enjoy the crazy long day there! We will ship it tomorrow but should take at least 4 or 5 days to be delivered to Norway. thanks for patience, confidence and support! 1 week max for Norway, any order. thanks for patience. About 10 to 12 days to be delivered to Malaysia, thanks for patience and confidence. Thank you so much i love the coffins and the t-shirt 😀 Peace out from Norway. Bonjour,est ce que c’est une boite pour ranger les roues,trucks,decks ? Merci pour ces idées auxquelles nous avons pensées depuis 2007, cependant vous sembler ignorer le prix des royalties à reverser aux Pros ou aux marques partenaires, même s’il reste facile de les contacter… Encore merci pour ces suggestions, votre compréhension et votre support. Derien et sur tout mercie de m’avoir repondue… Et bonne chance pour la suit. Of course, we still have few ones in stock and can ship all other the world with good protection. They are hand finished. thanks for confidence and support. avec un close up g4 un tee shirt close up (pour les vidéos car j’essaie de mettre en avant Close Up dans toutes mes vidéos) et un coffin. Pour tout montant, 2,70 € d’expédition sur la France. vous pouvez faire une simulation d’achat en ajoutant tous vos produits souhaités, ce qui vous donnera le total incluant l’expédition. Merci pour votre visite et votre support. Es ce que le support est pour un g3 g4 ou g5 ??? Ce Coffin Curb convient à tous les support, aucuns problèmes. 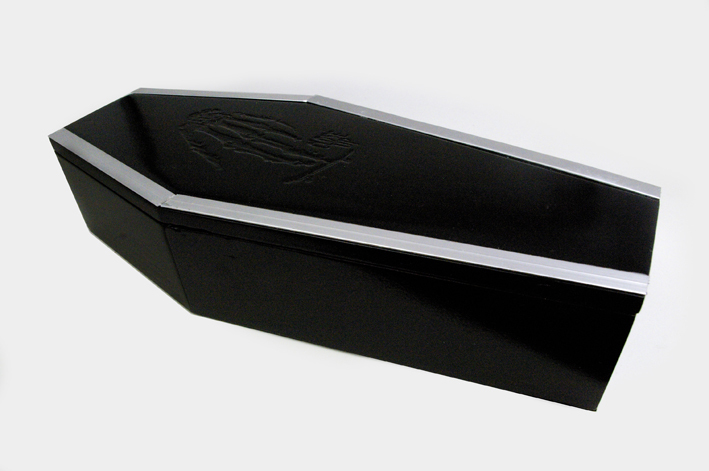 6 € only for a Coffin Curb 2 to Malaysia, we often ship there safely in about 10 days… Thanks again for patience and confidence. Thanks for confidence and support! Would you make a custom painted one for extra charge? I Really enjoyed the stained darker wood color on the previous model. Or even a slime monster green would be rad! Hi Dennis, can you right us on gcloseup@gmail.com, that we can suggest and show you last stained darker wood models we have left. We may have one left for same price ; thanks for confidence and confirmation on this e-mail.